Vampire Facelift & Facial - Las Vegas, NV - Live Agelessly - Dr. Maria Keller M.D. LiveAgelessly is proud to offer the latest revolutionary non-invasive alternative to a facelift using Platelet Rich Plasma (PRP) known as the Vampire Facial® and the Vampire FaceLift®. Aging of the skin results from a combination of a gradual decline in the function of aging cells (intrinsic aging) along with the damage caused by environmental factors (extrinsic aging), which includes smoking, exposure to chemicals, and ultraviolet B (UVB) radiation. When skin is continually exposed to UVB, it can lead to the break down of collagen causing skin to lose it elasticity and this causes skin to wrinkle. Platelet-rich Plasma comes from your blood, so there is no risk of rejection. The blood is drawn from your arm and it is placed in a special tube/cylinder and is placed inside a centrifuge. The centrifuge spins down the blood at varying speeds causing the red blood cells to separate from the plasma. The plasma contains both platelet rich plasma (PRP) and platelet poor plasma (PPP) both of which have been clinically proven to aid in wound healing. Platelets also release numerous other substances that are important in wound healing. In order to turn on the growth factors and subsequent wound healing for the Vampire Facial® and Vampire FaceLift® microneedling is performed on the surface of the face. This is followed by the topical application of PRP to the face and leads to clinically proven appearance of the skin over time as collagen is made and fibroblasts are activated. Fibroblasts produce collagen and the extracellular matrix, which provides cells with structural support. Delivery of therapeutic agents for cosmetic therapy is limited to small and lipophilic (fat loving) molecules on the skin surface. Microneedling overcomes the barrier of the top layer of skin by puncturing small micropores, opening up the skin for 4 to 5 hours. Microneedling is a very simple to perform, safe , effective and minimally invasive therapeutic technique. It causes skin rejuvenation for retexturing the skin and is used to treat acne scars, cause skin rejuvenation, diminish stretch marks, and eliminate rosacea (redness of the skin). It can safely be performed on all skin types including dark skin. It will reduce the appearance of dark hyperpigmented lesion (dark spots) that occur under the eye and on the skin surface. 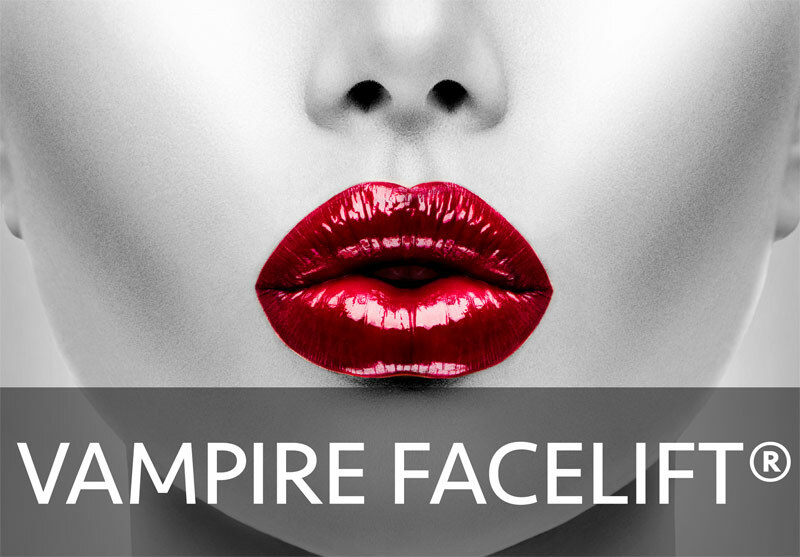 What is the cost of a Vampire Facial® or a Vampire FaceLift®? The Vampire FaceLift® also involves microneedling with the application of PRP but it also entails injections of PRP into the skin of the face in areas where more rejuvenation is needed. Fillers such as Juvederm can be used, but Dr. Keller prefers to use Platelet Rich Fibrin (PRF), which comes from your own blood and is therefore made by the body. PRF carries no risk of rejection and is more natural than a filler. The cost varies from $1700 upwards depending on the type and amount of PRF or filler chosen. 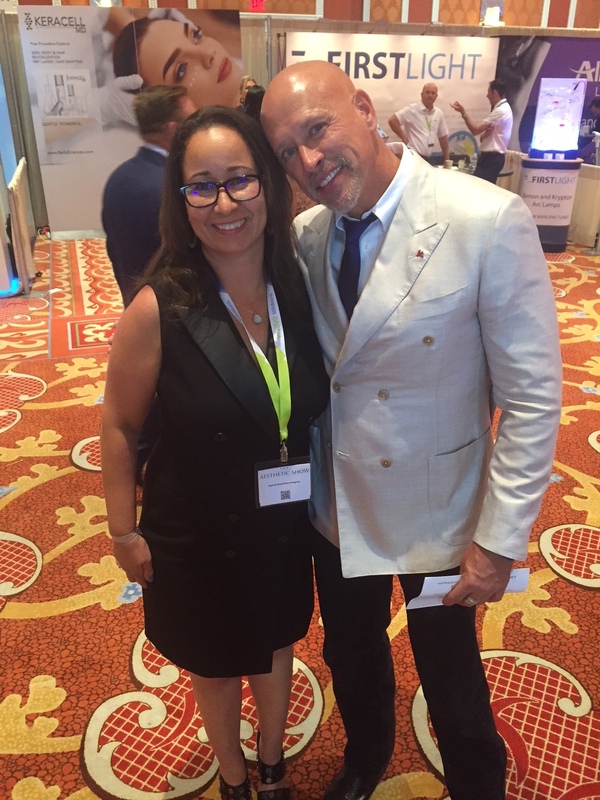 Dr. Maria Keller is an official provider of the Vampire FaceLift® and was trained by the inventor of the procedure, Dr. Charles Runels. She is a member of the Cellular Medicine Association, the official sanctioning organization for the Vampire FaceLift®, O-Shot®, Priapus Shot®, and Vampire Wing Lift™. 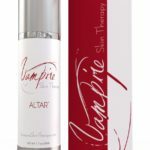 Now offering Altar™, for enhanced recovery and improved maintenance post Vampire Facelift® procedure. The HA fillers do little to improve skin tone and texture. Platelet Rich Fibrin (PRF) can be used as a natural filler. Unlike HA filler, PRF will actually help the body to naturally create collagen and elastin and act as a temporary filler. As another adjunct, Botox® can also be used to help smooth out wrinkles and fine lines. Providers of the Vampire Facelift® procedure take into account the mathematics of beauty as defined by much research (starting with the notebooks of Lonardo da Vinci) to avoid at all costs creating an unnatural shape. These ideas about the HA fillers are not commonly known even among the best of cosmetic surgeons and constitute part of the intellectual property protected by the trademarked name (Vampire Facelift®). Many would do better with surgery, or laser therapy, or Botox®, or simply PRP or an HA filler used alone. 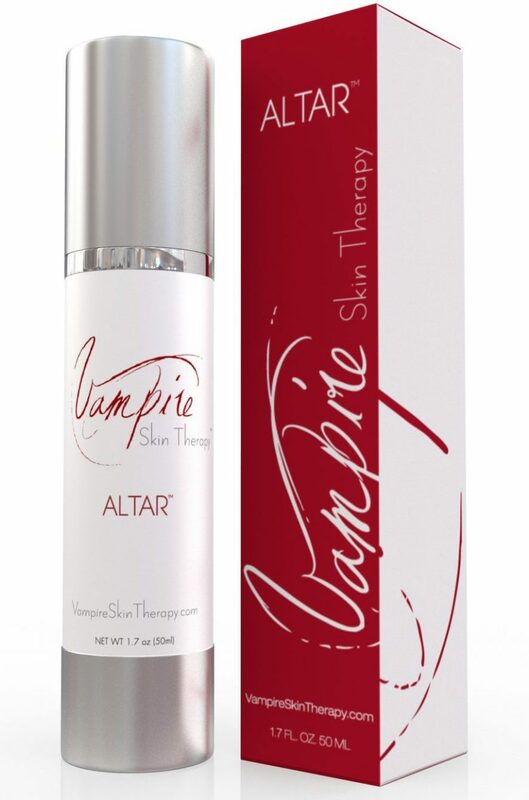 The Vampire Facial® procedure, using a specific technique for micro-needing, followed by application of PRP. The Vampire Facelift® procedure involves using Juvederm to restore shape followed by injecting PRP below the dermis the help restore color and texture along with enhancing a normal shape. Botox® 50 unit vial (covers forehead, brows and crow's feet) treatment is $500. Our Botox® is full strength and one bottle is used per person.